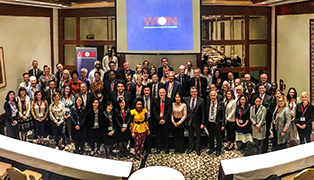 Researchers across WUN organise a variety of events and activities to promote research collaboration and graduate education, as well as to disseminate knowledge and exchange information. These take place in both the physical and the virtual environment. Please see below for a list of upcoming and past events/activities. CUHK’s Department of English hosted a colloquium on ‘Cultural Relations between China and the West in the Long Nineteenth Century (c. 1750–1914)’ on 8 and 9 December 2014. Scholars from Australia, mainland China, Hong Kong, the UK, and the US took part in the event. It was the second colloquium arising from the WUN project ‘Romantic China’ , following the first held at The University of Sydney in November 2013. 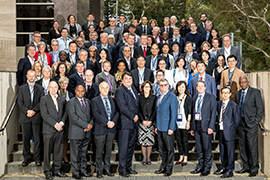 Experts from across WUN met at Zhejiang University in November 2016 to examine the role that grain legumes can play in meeting future food, fodder and environmental demands. Representing CUHK in this event was Prof. Hon-ming Lam, Director of the Centre for Soybean Research. 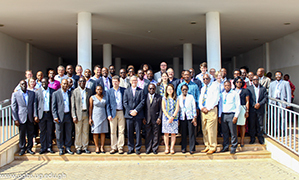 The meeting produced a policy statement highlighting the importance of grain legumes and a coordinated approach towards their use in achieving an environmentally, socially and economically sustainable food and feed sector. For more information, please click here. 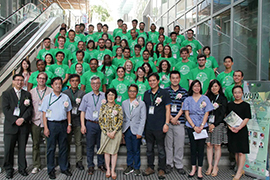 This workshop convened by Prof. Dame Wendy Hall, Professor of Computer Science at the University of Southampton, aimed to engage with members from across WUN in order to establish a network of Web Observatory nodes. Together, the participants agreed on four research areas (health/governance, disaster management, online learning, and young global citizens) and appointed a lead institution for each. They also discussed potential funding and future activities, such as summer schools and joint programmes. Representing CUHK in this project is Prof. Kelvin Tsoi, Research Associate Professor in Stanley Ho Big Data Decision Analytics Research Centre. For more information on the project, please refer to the project website.